When a co-presenter’s garden features in a gardening magazine, we want to know about it, that’s in the Plant Doctor segment, something you might throw not grow in Vegetable Heroes, and a shrub that's super fast growing in Plant of the Week, plus a a flower whose names comes from looking like a golden thread in Talking Flowers. Have you ever wondered how gardens are chosen to feature in gardening magazines? Well, it all starts with a photo. 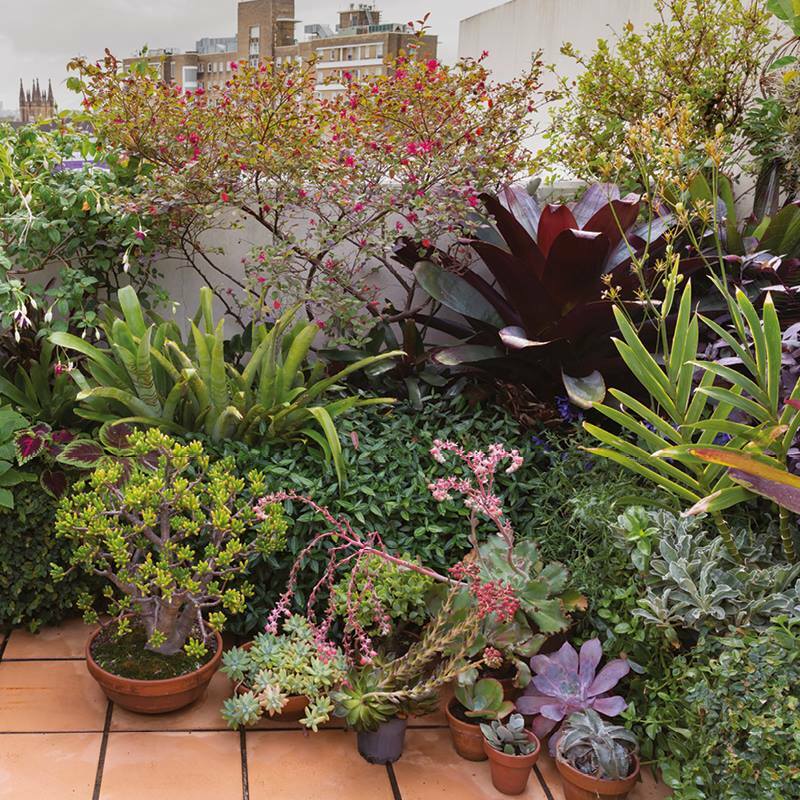 Perhaps you’ve sent in a photo of your garden to a magazine editor hoping that they would think it worthy enough to come around and photograph? If you haven’t, and you have such a garden, then it may just be timely to start taking photos, then choosing some of the best ones to send in. RWG contributor from the Plant Doctor segment did just that. Let’s find out how it came about. Steve has a rooftop garden in the inner city of a major city, so it’s subject to many plant unfriendly conditions like strong winds, blazing sun or cold hard shade. Over time time with the correct plant choices, and possibly some bad ways along the way that got turfed, Steve managed to create a suburban oasis. Steve mentioned Aptinia cordifolia, Ficus pumila. Tracheospermum asiaticum, as ground covers to protect the potted plants behind. When asked if Steve ever grew Dichondra repens " Silver Falls," he said that because it went " off" ( looked tatty) during the winter months, it wasn't appealing enough to keep. There are also indoor plants featured in this garden in a light filled apartment. 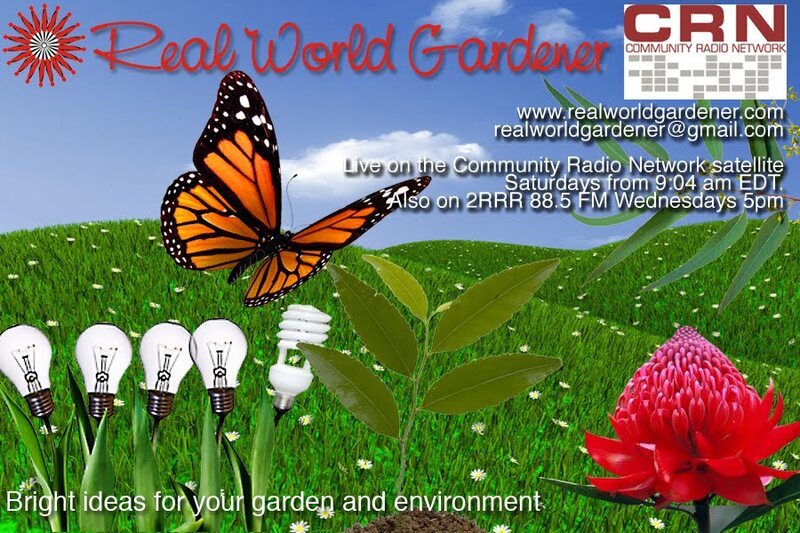 If you have any questions either for me or Steve, you can email us Realworldgardener@gmail.com or write in to 2rrr, PO Box 644 Gladesville NSW 1675. Globe artichokes or Cynara ascolymus belongs to the Thistle family. What a history this vegetable has! There’s an Aegean legend about a girl called Cynara…who to cut a long story short got to be made into a goddess. However she was spotted returning to her earthly family whom she missed and for her troubles was turned into the plant we know as the artichoke or Cynara ascolymus. This legends originates about 370 BC. Ancient Greeks and Romans considered artichokes a delicacy and as well as an aphrodisiac. Artichokes, including leaves, were thought to be a diuretic, a breath freshener and even a deodorant. It’s also known as the French artichoke and the globe or crown artichoke, but is not related to the Jerusalem artichoke, which is actually a tuber. The artichoke ‘vegetable’ is actually the flower head which is picked and eaten before it flowers. Only the heart and the fleshy base of the leaves is edible. The floral parts in the centre and base of the flower (the choke) must be removed before eating. Even after artichokes are separated from their parent plant they’re still living organs in which respiration processes become the main function because their nutrient supply has been cut off. In short, artichokes can be very vulnerable and temperamental if they’re stored in poor ventilation,. That means you need to store them as if they were a cut flower, in a container of water. A centimetre should be cut off the stalk so there’s a fresh end to absorb water. If it’s not practical because you’re short on space in your a fridge t, they’ll still remain fresh when sprinkled with water and stored in a plastic bag. Like a very, very large grey leaved thistle plant, and up through the middle of the plant comes this big fat segmented looking flower bud. This is the bit you eat before it turns into flower. August until November for sub-tropical and temperate areas. September through November in cool temperate areas and for Arid areas, June through to December. In Tropical areas, grow Globe Artichokes from April to July. Artichokes need a bit of space to grow - a mature plant will end up about 1.5m high and across. 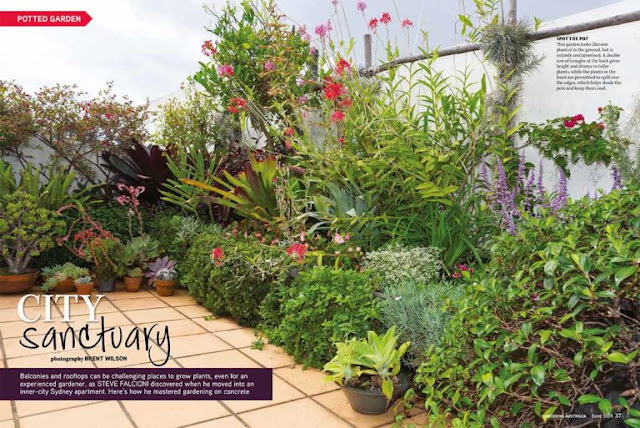 Because the plants are perennial and will stay in the same place in the garden for a number of years, pick a spot you don’t mind them being for a few years. For cold districts, Globe Artichokes won’t put up with the really cold winters because they don’t like temperatures below freezing. For these gardeners, choose a cold hardy variety from your local garden centre and grow it as an annual. They prefer an open, sunny spot in the garden, with well-drained soil, and of course add some compost and decomposed manure or fertiliser. 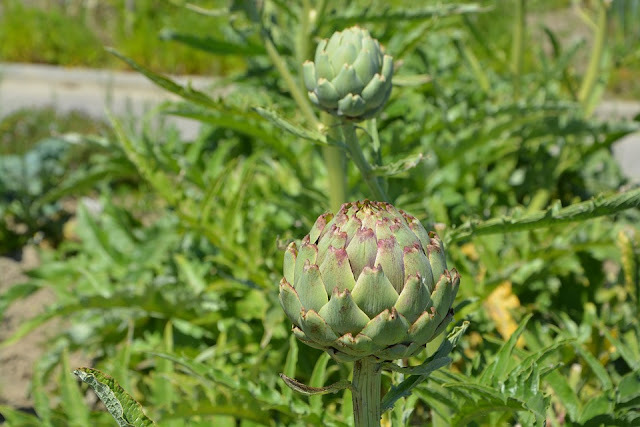 Artichokes can be planted from seed now, but it’s far easier to plant suckers. A mature plant usually has a main stem and a number of lateral suckers. If you know of someone with a plant ask them to separate sucker using a spade. Trim back any woody leaves or roots and plant in a suitable place in mid-late winter. Water plants well until they are established and protect them from frost and later on from heat stress when they’re still young. Once mature, they’re fairly resilient. Next autumn build up mulch around them, and cut stems back once the leaves go yellow. Mature plants will appreciate a boost of fertiliser and mulch each spring. When to harvest those globe artichokes. Not in the first year, because that’s when you take off any flower heads so that the young plants have a chance to grow and produce leaves. From the second year on, pick the artichokes (generally 10-12 heads) once they are swollen, but before the scales have started to open and turn brown on the tips. When picking your artichoke, leave a few centimetres of stem. Small buds can be picked early in the season and eaten whole. Globe artichokes will get crown rot if the drainage isn’t any good, and give them a good rinse to get rid of any earwigs and other insects. High in vitamin C and dietary fibre. 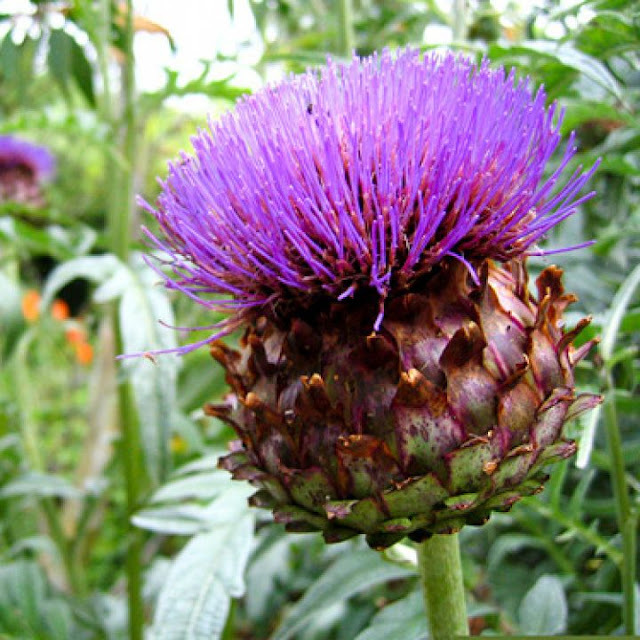 Current research is showing benefits to the liver from cynarin, a compound found in the artichoke's leaves. Silymarin is another compound found in artichokes that has powerful anitoxidant properties and may help the liver regenerate healthy tissue. Artichokes are nutrient dense, so, for the 25 calories in a medium artichoke, you're getting 16 essential nutrients! Are you interested in a screening hedge that can grow to a metre a year? 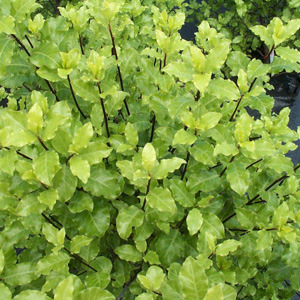 This next plant has varieties that have delicate lacey leaves that are contrasted by that very dark coloured bark. The genus comes in a variety of shapes and sizes from quite small and almost self hedging to the larger screening shrubs. Originating in New Zealand, these plants are pretty hardy and even second line salt tolerant. 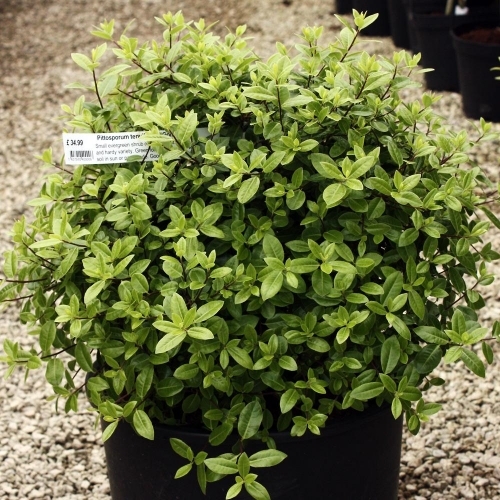 Jeremy also grows Pittosporum Golf Ball, which grows into the size of a basketball. This pittosporum is ideal because it's practically self shaping with the internodes being much closer than you would expect to see on a pittosporum. Pittosporums are generally tough plants but there is one exception though. If you’re trying to grow a pittosporum on the shady south side of a fence in just half a metre of soil next to a pool, be prepared to be disappointed. The bottom half will lose its leaves and you’ll eventually see them die off one by one. This is the experience of a neighbouring garden which is little more than pool, these poor pittosporums and a patch of lawn. 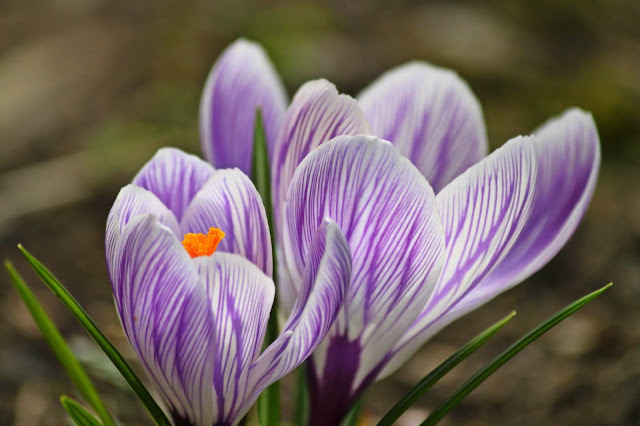 The latin word crocatus, meaning saffron yellow, gives the Crocus flower it's name. The crocus is the first to flower in Spring, although in some districts its Jonquils. Looks like a light bulb so some people call it the light bulb flower. Plant crocus bulbs 8-10cm deep (with the pointy end up). Plant dormant bulbs in Autumn. It takes 165 crocus flowers for 1 gram of expensive saffron spice. Saffron is the stigma (female flower part) of saffron crocus but you can grow.